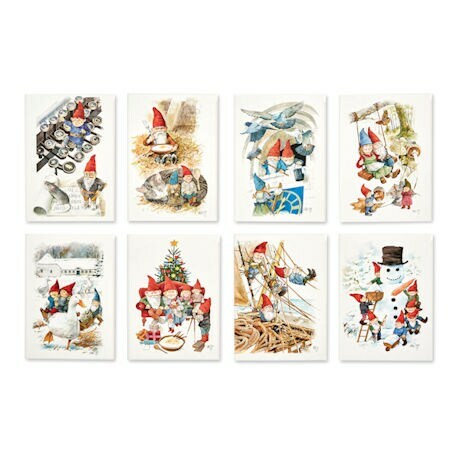 Small, white-bearded, wearing tall red hats, nisser are creatures of Scandinavian folklore, most often associated with Christmas. Danish artist Peter Nielsen captures them at work and at play in these charming full-color illustrations. 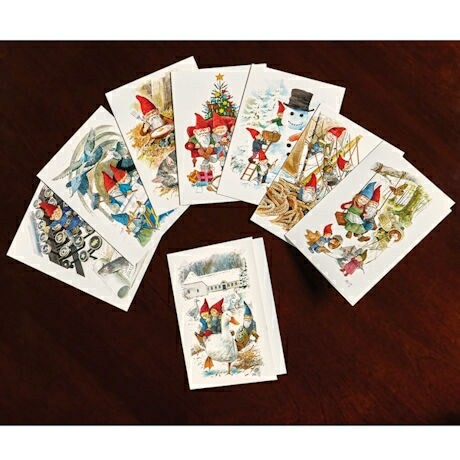 Set of 8 different cards, each 4" x 6", arrives in a folder with envelopes. Cards are blank inside. 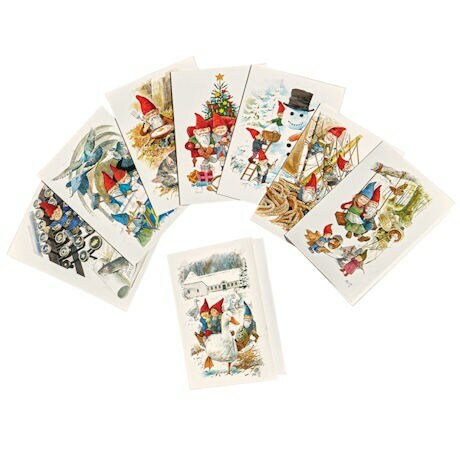 From the famous Danish paper goods company Koustrop & Co.